What are CRAZY ARMS? If you’ve ever tried to set up a scene with minifigs, at some stage you’re going to wish they could bend their arms to get that right angle. This is where CRAZY ARMS comes in. 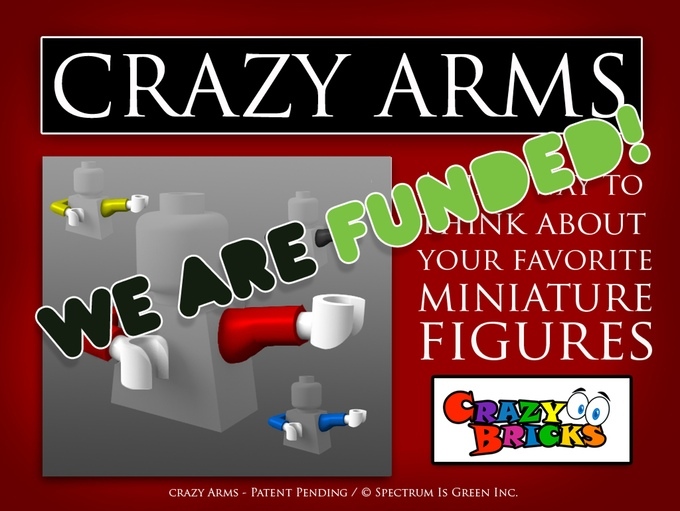 Created by Guy Himber at Crazy Bricks, CRAZY ARMS are pre-posed arms that can replace your minifig’s existing arms. With the new arms, you get a bunch of new poses available to you with arms bent at 90 degrees and also arms that reach out horizontally. 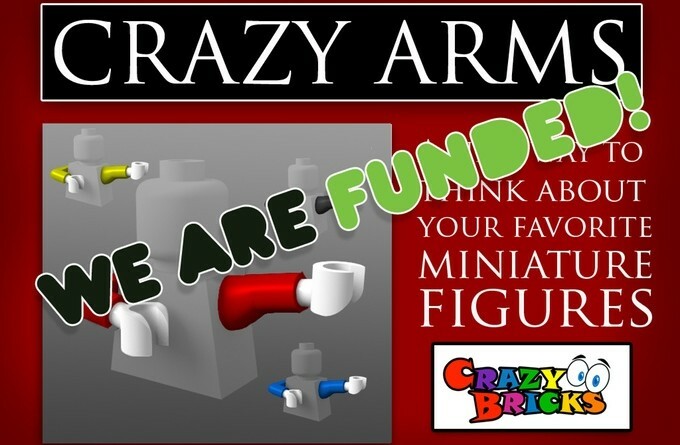 The system itself is very clever and is a combination of brackets that connect to the minifig legs, pass through the body and line up with the holes for the normal minifig arms. The CRAZY ARMS can then be used to replace the existing arms, with the attachment passing through the arm holes, into the brackets. Guy’s work has been very popular in the past and of a high quality, so we’re expecting these to be a lot of fun to play with. Delivery is expected to be in December and we’ll have a review on them as soon as we can!